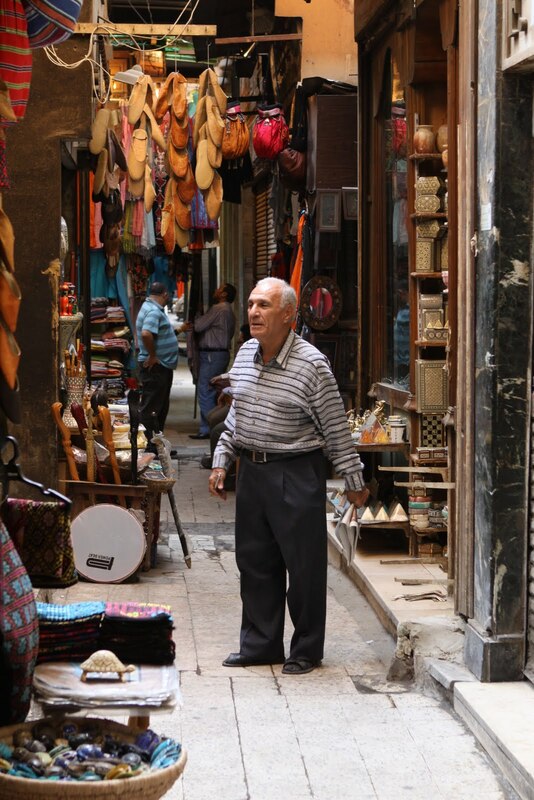 I was wondering what had happened to these photos and I am happy to have found them in an entry of 2015 on Cairo. Happy days indeed, here I am at the Ibn Tulun Mosque in Cairo in July 1990, I was 34 then and I had a full head of blue black hair then. I am bare feet since you must not enter the precinct of a Mosque wearing shoes. A bit like removing your hat in a Christian Church or covering your head in a Synagogue. A sign of respect. Ibn Tulun was deserted, we were visiting in the afternoon between prayer times. Such an ancient place so fascinating. Some 20 years separate these two photos. My Official passport photo of 1989 when I was posted to the Canadian Embassy in Cairo, Egypt with responsibilities for the Sudan. Back then only one photographer in Ottawa could take such pictures for the Foreign Ministry and his studio was on Sparks Street behind the Langevin Block which is the Office of the Privy Council for Canada and the Prime Minister’s Office. You had to make an appointment and you had to wear a suit and tie because that photo would go into your Diplomatic passport with mention on page 5 of the document stating your rank and function at the Embassy. Egypt then was a great posting, it was also the time of the First Gulf War when Kuwait was invaded by Iraq and Canadian war ships sailed down the Suez Canal, we went to the Canal to see them pass by. I also travelled often to Khartoum and we had special permission to board the Lufthansa flight which made a pit stop in Cairo to travel to Khartoum 2 hours South following the Nile River in a straight line. We did not want to take Air Sudan it was too dangerous, planes poorly serviced and mostly unable to fly on any given day. Egypt Air was not safe enough because of tensions between Egypt and the Sudan. Lufthansa had a great flight and so did British Airways back then. I also often carried with me 10 to 12 bags of Diplomatic mail and documents all sealed up. It was all pretty romantic to be a diplomatic courier and also representing Canada in the Sudan. To me that country was about General Gordon and his heroic death in Khartoum. In Saint-Paul Cathedral in London there is a memorial to Gordon of Khartoum next to 19th Century painter Frederick Lord Leighton. I say a memorial because when the expeditionary force arrived in Khartoum to relieve Gordon and his men, everyone had been killed and his body was never found. When I went to the Sudan a new ”Islamic” government was in charge, same people as today. The funny thing was that we had to pay for every curfew pass and special permission pass to travel in the City with bottles if not cases of Johnny Walker Red Label, I discovered that Scotch is an international currency and the favourite drink of staunch Muslims. 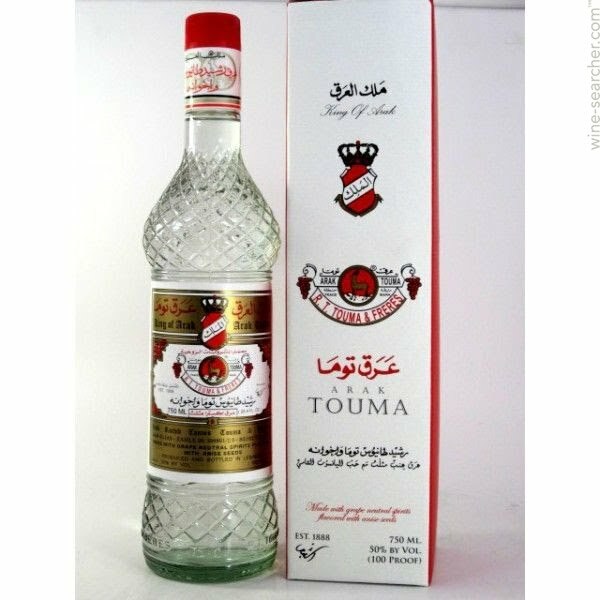 So we use to call it Johnny Mohamed Walker. In early 1991 I found myself again in Khartoum and it was at this point that the First Gulf War ended with the defeat of Iraq and the setting on fire of all the oil wells in Kuwait by the retreating Iraqi army. As I arrived at the Hilton Hotel I heard a commotion behind me and turn to find myself face to face with Tareq Aziz (1936-2015) the deputy Prime Minister of Iraq, the cultured face of the Iraqi Regime. I had a very uneasy feeling when I saw him surrounded by his goons. He was well dressed and spoke impeccable French and English. The clerk at the Front Desk explained that Mr Aziz would have his room on the third floor and I was bumped to the seventh floor. The war had just ended the Sudan was an ally of Iraq and Canada was part of the coalition which defeated Iraq. We simply exchange polite greetings, there was nothing else to say and I had absolutely nothing to say to him. What puzzled me was how he got to Khartoum from Baghdad, there was a no fly zone, it took me some time to figure out that he would have travelled by road from Baghdad to Amman in Jordan which took about 10 hours. Then flew on a private jet from Amman to Cairo and then on to Khartoum. A few years later when I was posted to Amman, I would become more familiar with the Iraqi Regime and the politics of the region, a very complex affair to say the least. My last post, what was interesting about this posting was my accreditation to Greece, Malta and Albania. I went to Tirana some 26 times, it must be a record of some kind, no one else at the Embassy went so many times. I had regular business to attend and I wish could have gone to Athens more often. Albania was a very strange country, waking up after 45 years of brutal dictatorship under a madman Enver Hoxha (1908-1985) who completely isolated this tiny country, it is only slightly bigger than Vermont, from the rest of the world and broke relations with every country including his Communist allies in the USSR and then China for not being communist enough. No one could travel outside and very few could ever enter Albania. Now in 2007, Communism had vanished with the death of Hoxha and the nightmare was over which led to all manner of excess. A very poor country with no paved roads, a very poor electric grid and primitive social services. It was difficult to image that to the South was the border with Greece and just across the Adriatic was Italy. During my time the country saw much progress, there was a large US presence, there was also much investments by Austria, Germany, Sweden. I do not know what made me think of it today but I suddenly had a memory of Cairo and other places in the Middle East where I served at a time when I was Consul Pasha. The name Consul Pasha was bestowed upon me by my Egyptian friends, a Pasha is or was an Honorific title given to people who served at a certain level in the government of the Ottoman Empire, you were either a Pasha or a Bey. A Pasha could also be the brother in law of the Ottoman Sultan, a general or a senior diplomat. In Egypt until fairly recently it was given as a sign of respect. When you live abroad you often have to get used to many different foods and cuisine tradition which are totally foreign to you. Many countries hold on to their culinary traditions and do not give in to fast food or food globalization. As a tourist you just need to step out of your International chain hotel to realize that no one eats like you do. A good example in Italy, where tourists will stuff themselves with Pizza and cheap pasta because these are the only two foods they recognize from back home. Missing all the other culinary dishes of veal, wild truffles, cheeses, beef and seafood. 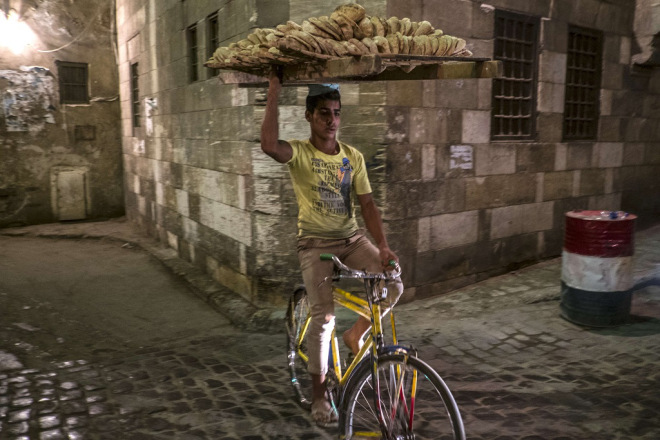 One discovery in the Middle East was the variety of the food and its quality. I learned a whole new way of eating and what was wonderful was the freshness of all the dishes, always made daily from scratch and always served fresh. A good Host would make it a point of honour to have the best food for his guests. You would never hear the phrase ” It is just something we threw together at the last minute, nothing fancy”, that would be an insult to your guests. You would also not be served dips and chips or peanuts or something frozen or processed. Same went for liquor, only certain brands of Scotch was acceptable, yes even amongst my Muslim friends. Scotch was not seen as alcool it was the drink of Gentlemen. No one would think of offering you a beer. If you were not invited at home, the host would make sure he knew a good restaurant and know the owner and or the chef and make sure the quality was high, no haphazard selection of a place they did not known or who did not have a good reputation. The first time I was invited for dinner, we arrived around 9 PM, dinner would never be served before 11:30PM so in the meantime Mezzeh was served with Raki or Arak anis flavour drink on the rocks with a little water. Also know in Greece as Ouzo or in France as Pastis. It is closely associated with food and all culinary matters in the Levant. The word Mezzeh is found in all the cuisines of the former Ottoman Empire and comes from the Turkish meze “taste, flavour, snack, relish”, borrowed from Persian, Maze. The photo below show the traditional display put before you, an incredible variety. This is before dinner while you are a glass of Arak. Now the real connaisseur will only have a little bite and will not make a point of finishing all the plates presented. This is just so that you are not famished by the time dinner is served later on. All of it is very good and as a novice you might be tempted to eat too much. Your Host will press you to eat more, but does so only out of politeness. You have to know to refuse politely while always showing interest in the dishes. It is a complicate ”Oriental” tradition one could say, but then in the Orient nothing is ever simple. Far too many people fall for the Mezzeh and then are caught not being able to have dinner, that was a faux pas. Worse still colleagues would complain about the hour and make a quick exit after the Mezzeh course. 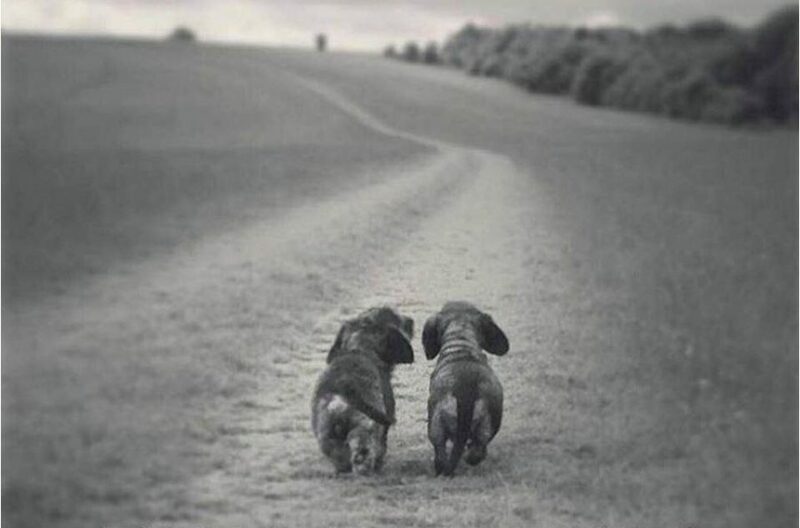 They were never invited again, forgetting that they were not back home and cannot behave as if they were. I will never forget one evening in Damascus when a colleague of mine invited some of our contacts who had been more than generous in their hospitality towards us in the past. He counting his pennies decided to short changed his guests by ordering just a couple of plates of Mezzeh and cheap beer. What a stupid mistake and how embarrassing it was. In Cairo we use to go to a restaurant called Papillon in Mohandessin (Engineer city) on the Western bank of the Nile with a friend of mine A.M. El Solh. They had a great Mezzeh. Köfte – meat balls and patties consisting of ground meat, usually beef or lamb, mashed onions, spices and a small amount of bread crumbs. Stifado – Slow cooked beef stew with lots of onions, garlic, tomatoes, cinamon, pepper and vinegar. Cacık – Dip made from plain yogurt, chopped cucumber with finely chopped garlic and mint leaf. Labneh – strained youghurt which tastes similar to cream or sour cream only more tart. Yes all of it will be presented to you and then a full dinner. 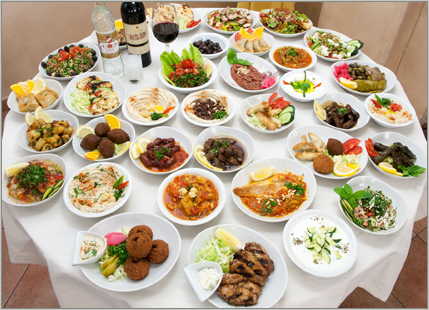 My favorite Mezzeh dish are: Babaghanoush, Hummus, Falafel, Köfte, Halloumi cheese, Dolma, Tabbouleh, Fattoush, Olives, Tulum cheese with a nice drink of Arak. Of course this would be accompanied by conversation on various topics. Because Ramadan just started a few days ago, dishes served during the Holy Month are totally different, IFTAR is the meal served as sunset. 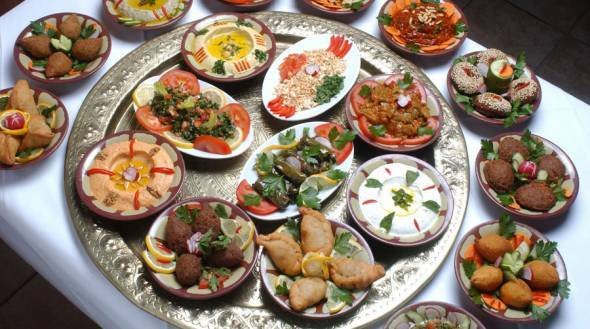 The dishes are too numerous to name and many are special dishes and desserts made specifically for Ramadan. If you do Ramadan and fast during the day, it is important that you not stuff yourself quickly at Iftar, your stomach cannot take it and a polite person will eat slowly, serve food to others and enjoy a long meal, at the same time eating in moderation. But that is another topic for another time. During my posting to Egypt, I also visited the Sudan on a regular basis every quarter of the calendar year more or less. In those days we did not have an Embassy in Khartoum and we were accredited to the Sudan but not residing there. If we went to Khartoum we could, in case of emergency, go to the UK Embassy. Now the British had been in the Sudan for a very long time and they had a long colonial history, where as Canada had none whatsoever. To me Khartoum was a place I had seen in an old movie, the scene where Gordon and the British are waiting for relief from Cairo and are besieged in their compound. In a desperate attempt to frighten the natives who are on a religious war path led by the Mahdi, Gordon dresses up in his parade uniform with all his medals and steps out at the top of the stairs armed with his sabre and a pistol. The sight of him did in fact stop the battle according to accounts, the natives were startled to say the least, however one warrior chucked a spear at him and killed him, all was lost. Here is a little historical background to that bit of history. Since the 1882 Anglo-Egyptian War, the British military presence had ensured that Egypt remained a de facto British protectorate. Egypt also controlled the Sudan, and the administration of the Sudan was considered a domestic Egyptian matter by the British government. It was left to the Khedive’s government to administer. As a result, the suppression of the Mahdist revolt was left to the Egyptian army, which suffered a bloody defeat at the hands of the Mahdist rebels at El Obeid, in November 1883. The Mahdi’s forces captured huge amounts of equipment and overran large parts of the Sudan, including Darfur and Kordofan. 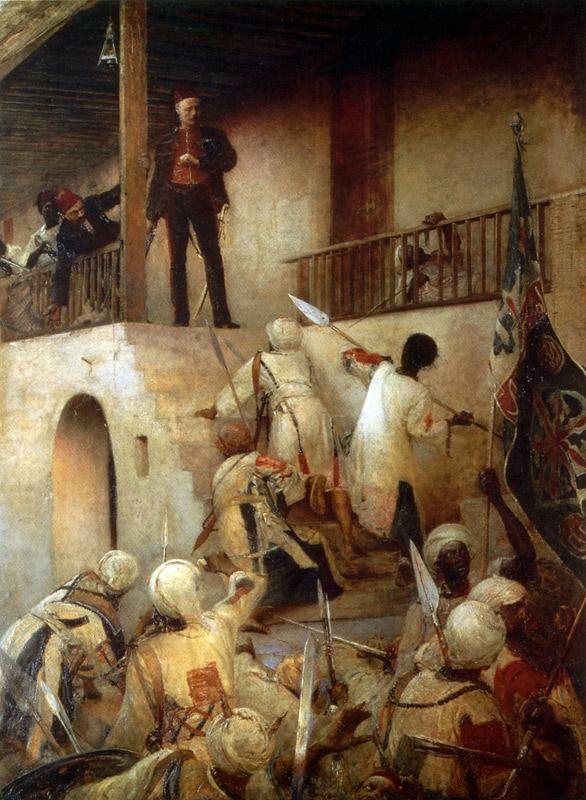 The rebellion brought the Sudan to the attention of the British government and public. Prime Minister William Gladstone and War Secretary Lord Hartington did not wish to become involved in the Sudan and persuaded the Egyptian government to evacuate all their garrisons in the Sudan. General Charles George Gordon, a popular figure in Great Britain and former Governor-General of Sudan in 1876-79, was appointed to accomplish this task. If you visit London UK go to St-Paul’s Cathedral and there you will see the Memorial to General Gordon next to that of Frederick Lord Leighton. Going to the Sudan from Cairo is a two-hour flight straight down the Nile to Khartoum. Air Sudan had a terrible safety record, most of their flights were either delayed for days or cancelled, was not an option. So I could take Egypt Air, which is a reliable airline or Lufthansa or British Airways. But there was a rule, I needed to obtain from the Egyptian Authorities permission to board the flight at Cairo for the last leg towards Khartoum. Egypt Air wanted to protect their traffic monopoly and Cairo was just a pit stop for flights from Europe or returning to Europe from the Sudan. I preferred to opt for Lufthansa for various practical reasons and comfort and would board at Cairo. I would also carry with my luggage all my files for a week’s worth of work, remember these are the days before computers, we were still using IBM Selectric typewriters, and would also often have several bags of diplomatic mail, which attracted a lot of attention upon arrival in Khartoum, though such mail is inviolate, meaning cannot be inspected by Customs authorities, the Sudanese government was still curious, though they knew they could not tamper with the bags. In 1989 a new government was in place in the Sudan, Omar Al-Bashir became President in a coup d’état. He is currently accused of War Crimes and Crimes against Humanity in Darfur and in the War in South Sudan. Darfur was an issue then and the bloody war in South Sudan was raging on, also Ethiopians and Eritreans were streaming by the tens of thousands out of Ethiopia, the regime of Mengistu Haile Mariam was about to collapse and famine was yet again threatening the country. It was estimated that over 1 million Ethiopians lived in the Sudan at that period. They were not welcomed and not well treated by the Sudanese, may horrors were visited upon this population by the Sudanese army. You had several reasons for this conflict, the Sudanese in the North saw themselves ethnically as Arabs, Muslims. Ethiopians are Orthodox Christians and belong to a very old people of a different ethnicity. The Sudanese in the South were Africans either Christians or Animists. The Government of the Sudan wanted to dominate and control them, slavery was an acceptable form of control on those population seen as inferiors. 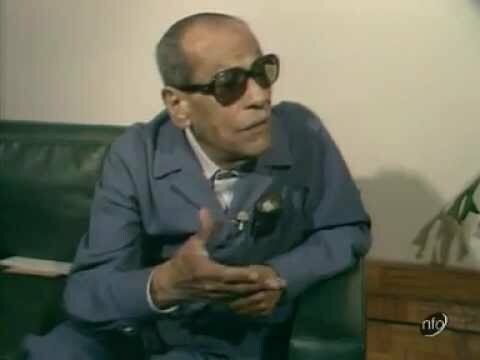 The Government in Khartoum also had very poor relations with Egypt because the Egyptians were the former masters historically speaking, a very complex situation which had nothing to do with logic and all to do with twisted Politics. In other words a lot of human misery could be seen everywhere. Also at that time the Sudan decided to ally itself with Saddam Hussein’s Regime in Iraq against the West. Khartoum as a city then was dusty and had few remarkable buildings, except for the Cathedral now closed, the Palace of the British Governor now the President’s Palace and the Hilton hotel where the Blue and the White Nile met, that hotel is today called the Coral. Each time I visited Khartoum there would some kind of epidemic, typhoid, plague, etc… I also needed to take my Malaria pills and have by yellow health booklet of numerous inoculations. The Hilton however was another planet, a modern building with its own power supply, water purification plant and armed guards once inside the compound it really was another world. All the food of the hotel was brought from Europe on a daily basis and all meals were lavish buffets, of seafood, beef, chicken, mountains of desserts and fresh fruits. The bar had been closed for political reasons and so was the pool for pseudo-religious reasons. It was all surreal and typical of such regimes in most third world countries. 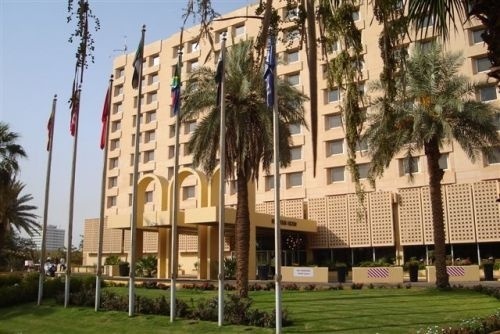 There was nowhere else to stay in Khartoum, that was clean, safe and secure. The Sudanese government could also in a crude fashion monitor our presence. At night there were few lights in the City and a curfew after 9pm. Tanks would appear and heavily armed soldiers manned several intersections of the city. 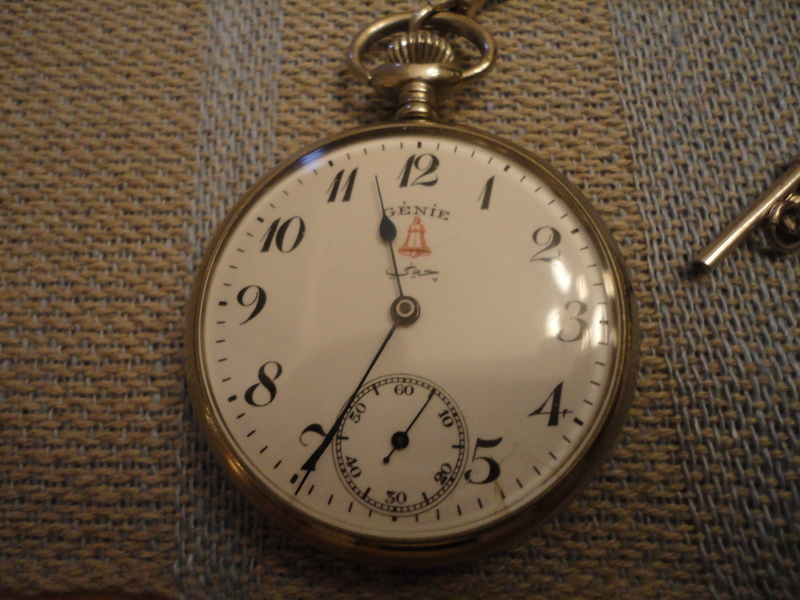 Late at night you would also often hear machine gun fire. If you wanted to circulate after 9pm, you had to have with you 2 items, one a special curfew pass obtained only through special permission usually payable in bottles of Johnnie Walker Scotch to a so-called religious official and lots of Marlboro cartons of cigarettes to be given to the soldiers on the streets at check-points, they could not read the Official Curfew pass, only spoke Arabic and they were usually in a very dark mood. It did happen that you would get to a check-point and the soldiers were asleep, what to do, do you wake them up and get shot or beaten severely, you could not simply drive through, because that would create other problems, so often you would stop, somewhere on a very dark street and make noise so the soldiers would wake-up and offer them cigarettes. Marlboro always did the trick and you would get a smile out of them and a quick signal to move along. During my stay in Khartoum I would meet a lot of people and travel in the Sudan to Port Sudan and to Kassala. I would see the increasing presence of the Communist Chinese and their early investments, another way of cultivating allies in geo-political conflicts. I would also have a most memorable encounter in 1991 at the Hilton, but that will be for a later post. I went on posting to Egypt in 1989 after completing my posting to Mexico, quite a change in geographic location, I was also responsible or accredited to the Sudan. Both countries have a long history. Egypt is the largest and most populous country in the Near East or North Africa and the leader of the Arab World until recently. Radio, television and movie production all came from Cairo, the oldest movie production studios are in Cairo circa 1938 and Egyptian culture dominated the air waves this also means that Egyptian Arabic dominated the Arab Speaking World. It is in terms of a spoken language not as pure as Classical Arabic spoken by Bedouins, often you will hear students of Arabic wanting to go live with the Bedouins to learn highly classical Arabic which is quite beautiful but so difficult to learn. If you want a comparison Egyptian Arabic is like American slang if you compare it to British English in terms of vocabulary pronunciation. Grammatically Arabic is a complicated language and difficult to master unless you are a serious student. It is poetic language very florid and it follows very different rules in terms of how you formulate a sentence again in comparison to English which is relatively simple as a language. 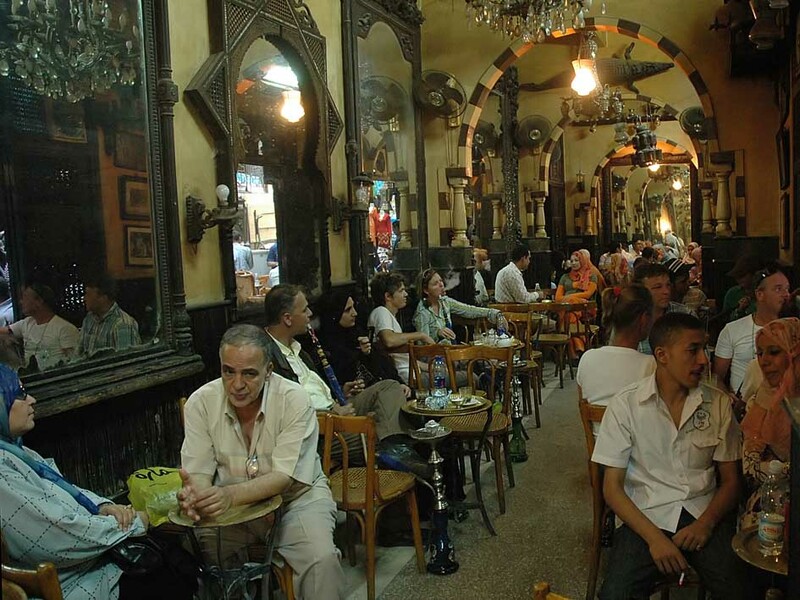 The Cairo of 1989 was like New York a big, noisy, bustling town, it is truly a city that does not sleep, with a population of 9 million people compared to 2014, the population is now 14 million. 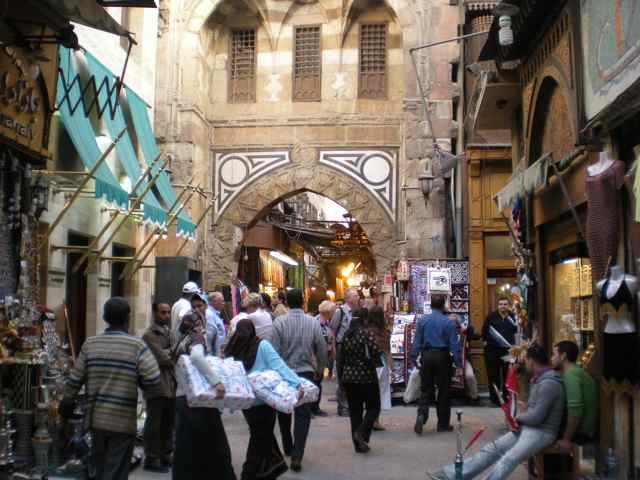 Cairo is also a very old City, its foundation dates around 869 AD and architecturally it has many influences and you can clearly see the history of Egypt through the centuries in the buildings and palaces of the City. 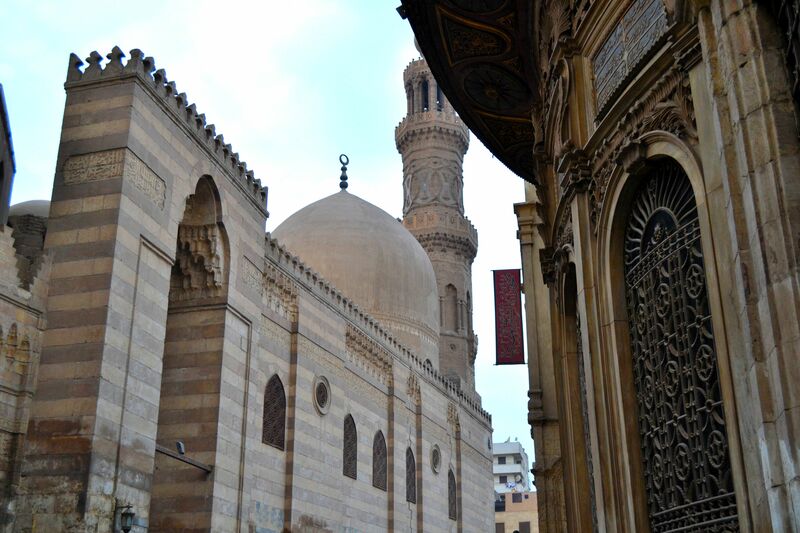 Various dynasties the Abassid, the Fatimid, the Ayubid, Umayyad dynasties and rulers built the patrimony of Cairo, always following the idea of a great Imperial City to reflect the long rule of the Egyptians over neighbouring countries and region. These Arabic dynasties ruled from Bagbdad and Damascus, later under Ottoman Turkish rule from Istanbul but Cairo being more populous attracted quickly more political clout. Mecca in the Hejaz in comparison is a religious centre and a relatively small new town. 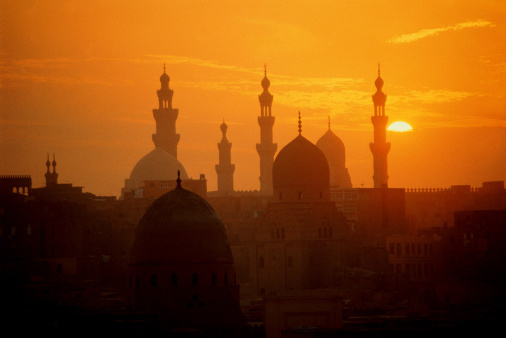 Cairo also became a religious centre with great mosques and the Al-Azhar University with examples of magnificent Islamic architecture, truly marvels of art and with many connections to Mecca due to the migration to Egypt of the relatives of the Prophet after his death. The historian K.A.C.Creswell wrote a wonderful book on early Muslim architecture in 1958. The night I arrived in Cairo was in early July, so fairly warm around 28 C. my plane touched down around 10pm, Cairo Airport was about 30 Km outside the city then, a big sprawling complex, welcoming all the major airlines of the world. The Embassy driver was waiting for me and took me to my hotel which was on the Nile about two blocks from our Embassy in Garden City. I immediately noticed the heavy traffic and people walking everywhere, Cafés full of people, lights, music and the stench of blood everywhere. The stench of drying blood was very strong and as we came closer to the centre of the city it was unpleasant. We took the Moqattam Cliff road passing through the Cemetery of the Mamluks and then around the Old Citadel of Salaheddin turning down on to Qasr Al-Ayni road which passes along the Aqueduct (c.1311) to Fumm Al-Khalig on the Nile and turning again unto the Corniche. I asked the driver about the smell and he looked at me and said, Sir it is the great EID and people follow the tradition of slaughtering sheep as Abraham was commanded by God. I also noticed in the more popular neighbourhood that people would then smear the door ways of their houses with the blood of the sheep another biblical tradition. 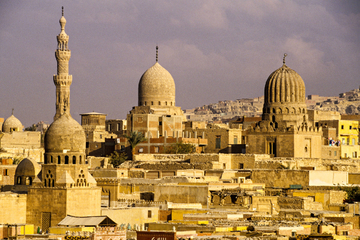 The aqueduct of Sultan Al-Nasir Muhammad stretches half a kilometre from the Nile to the Citadel. The meat of the sheep is then roasted and served up, first to any poor person you might know or beggar, this is an obligation and people respect it. When we got to my hotel the Semiramis Intercontinental which is next door to the famous Shepheard hotel, home of British spies and intrigue during WWII, it was around 11:30 pm. The street was absolutely packed with revellers, music, lights, it was like a carnival. As I entered the lobby with my numerous suitcases, I must have had 4 or 5, they were taken by several Bellhops and then I was greeted by the most fantastic spectacle, there was a great wedding reception going on at least 300 people were singing and dancing, there was a great band dressed in Mamluk era costumes, drums and trumpets and a dozen belly dancers with candelabras on their heads. I was pulled into the Conga line and only dropped off at the Front Desk where the reception clerk greeted me with a smile and said ”Welcome to Egypt Sir”. In many ways the next few years for me in Egypt (Misr) would be like my arrival, one adventure after another, leaving me to this day with great souvenirs.